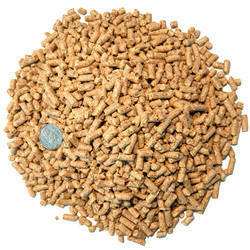 Available with us is an extensive range of Cattle Feed, which essential for the growth of cattle. 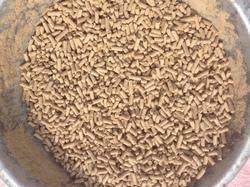 At our advanced production unit, we process Calf Starter Feed, Calf Grower Feed, Cattle Breeder Feed, Cattle Finisher Feed and Cattle Life Cycle Feed, among others. Our range is demanded is the market for its high nutritional content and 100% vegetarian and easily digestible. 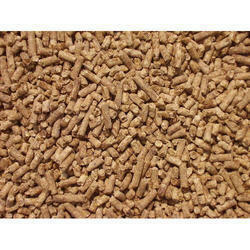 We are engaged in manufacturing, supplying and exporting a wide range of Calf Grower Feed. Our range is widely demanded in the domestic and international markets as the feed is free from bacteria, pathogens and toxins. Hygienically processed, our range is best suited for calf and helps in improving their weight. We are a well-known name in the market engaged in offering our clients General Cattle Feed. Our entire range is hygienically processed at our premises using quality ingredients. 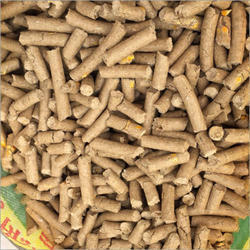 We have installed advanced tools to produce the feed in bulk quantity. Besides, proper care is taken to pack the orders in order to ensure their longer shelf life. 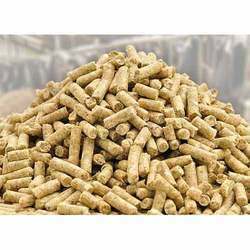 Our organization one of the leading names in the market engaged in manufacturing, supplying and exporting a wide range of Calf Starter Feed. Processed using ingredients like Corn Gluten Meal, DDGS, Pluses, Essential Amino Acids, Vitamins, Minerals, Trace Minerals, Toxin Binders and Mold Inhibitor, our range is appreciated for its high nutritional value. Our professionals use high grade and moisture proof packaging material to pack the orders.